The Junior Show Committee are students from Boonah State High School. 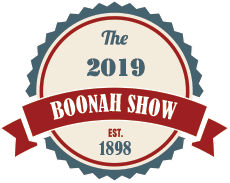 They appoint Junior Stewards to work in all Sections of the Boonah Show, assisting the Show Society Stewards on both Friday & Saturday of the Show. They also run the Family Fun Night Program on the Friday Night. They attend the Show Committee Meetings and have an input into the Show Program. The Junior Show Committee want to encourage students of all ages to exhibit in our Show.All entries are free to students, except for the Horse Events. Don’t miss out on our new competition – ‘The Young Farmers Challenge’ Download details from the Forms & Schedules Page.